Friends of Hagg Wood was formed in 1996 to preserve, protect and enhance the natural plant and animal life in the wood for the community. FoHW holds monthly conservation working parties in the wood and other enjoyable activities, including illustrated talks, social events and visits to places of conservation interest. Hagg Wood is a coniferous plantation on an ancient woodland site that still has many remnants of the native woodland vegetation. The wood is designated as a Plantation on Ancient Woodland Site (PAWS for short). Hagg Wood is an area of woodland of 107 acres (43Ha), to the east of Dunnington, York towards the River Derwent, at Ordnance Survey reference SE 685 526. It is situated at around 25 metres above sea level. The wood was established as a Community Woodland in 2003. 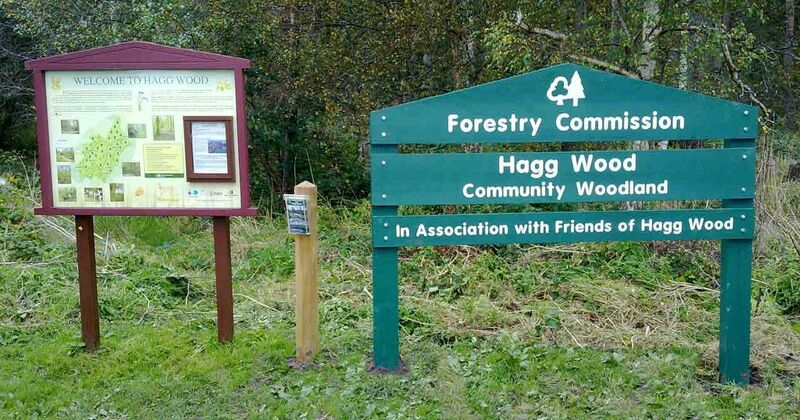 The Forestry Commission manages the wood in consultation with the Friends of Hagg Wood. The long-term objective is to restore the wood as native semi-natural woodland, including oak, ash and other broad-leafed trees and native woodland shrubs, as well as maintaining some of the larger conifers.